Ghana will host the 2nd National Adolescent Reproductive Health (ARH) Summit in August, this year, in Accra. About 300 participants are attending the two-day conference, which is taking place on the theme: Effective Population Management through Adolescent Sexual Reproductive Health Financing Beyond Aid. The ARH Summit will, among other things, review the progress of implementation of the ARH policy and programmes, build consensus and advocate for technical and financial support for ARH programming in the country towards reaping demographic dividend. The Summit aims to show the linkage between effective population management and Adolescent Sexual and Reproductive Health and Rights (ASRHR); provide platforms for partners to share knowledge and lessons on the implementation of SRHR across the country to help improve ASRHR policy, programming and advocacy; promote young peoples’ ideas and innovations in population management and SRHR; and to explore sustainable financing for ASRHR beyond donor funding. According to a release issued by the organizers of the Summit, abstracts are, therefore, being invited from interested individuals and organisations for oral and poster presentations. The presentations will cover executed/on going research or project initiative(s) carried out by the applicant/organization. 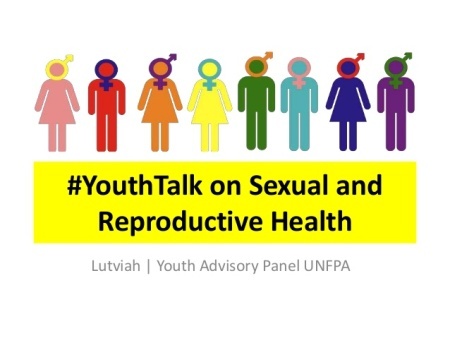 Topics to be discussed at the Summit, the release said, include Population Dynamics and Basic Demographic Concepts (Population and Development Interlinkages); Adolescent SRHR Investment and Sustainable Financing; Comprehensive Sexuality Education (CSE); and Adolescent SRHR Advocacy. The others are Adolescent SRHR Policies; the Media and ASRHR; ASRHR in the Digital Era; and Adolescent Friendly Service Delivery. ARH Summit 2018 is being organized by the National Population Council, with support from the Marie Stopes International, Ghana, and state and civil society partners. The National population Council (NPC) was established in 1992 and subsequently given legal backing under the National Population Council Act, 1994 (Act 485) as the highest advisory body to the Government of Ghana on all population and related issues through advocacy and effective co-ordination of the implementation of all population policies and programmes. In 1994, the Government of Ghana adopted its second National Population Policy with the objective, among others, of providing the population with the necessary information and education on the value of a small family size, specifically, and sexual, and reproductive health, in general. The vision requires the commitment of all sections of the country’s population, especially men, who are often the decision-makers on family size and the livelihood of families, the clergy, traditional authorities and state institution. On the other hand, Marie Stopes Ghana began providing contraception and safe abortion services in 2007 and has since become one of the country’s most trusted providers, helping more than 115,000 women each year to choose when they have children. It has nine clinics in urban areas, six rural outreach teams, two urban outreach teams, 136 private healthcare providers, operating under our Blue Star social franchise brand, a social marketing of contraception; and a call centre that provides information and referrals. The first ARH Summit— inaugural event—which took place from April 19 to April 21, 2016 discussed the current research surrounding reproductive and sexual health, including clinical research and the development of treatment.